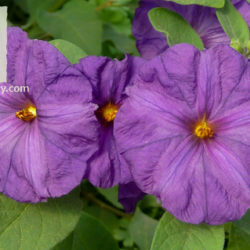 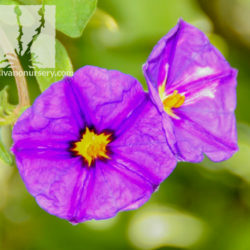 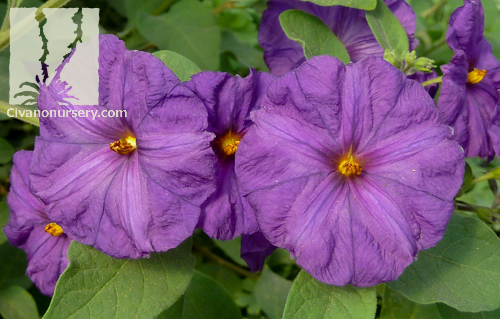 Blue potato bush is a charismatic plant that can fill many different roles in the landscape. 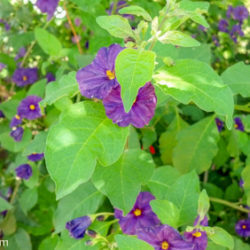 In Arizona, it is most often seen as an elegant 6×6 foot shrub with bright lime green foliage on arching branches and an almost year-round profusion of ruffled, deep purple flowers with lemon-yellow centers. 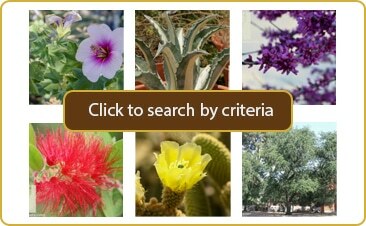 Specimens can also be grown as graceful patio trees that get a bit taller than the shrubs and look more refined in formal settings. 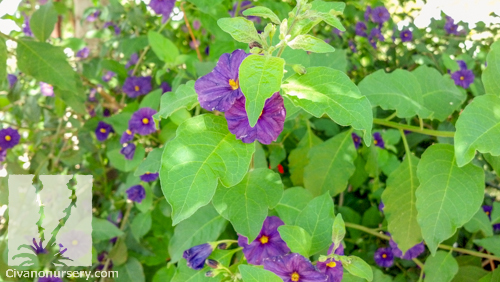 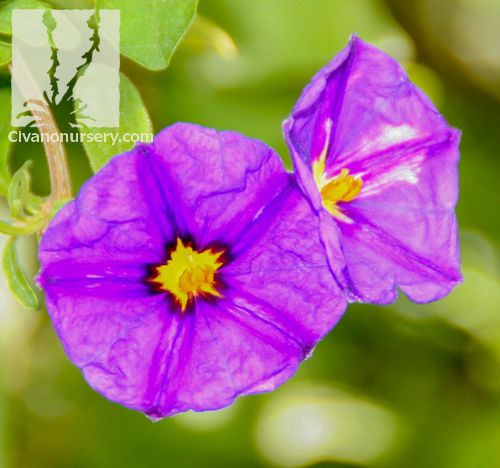 When trained against a trellis or similar support, blue potato bush excels as an evergreen vine for screening or heat buffering. 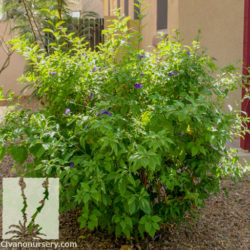 This tropical, deer resistant shrub does great in containers, and tolerates a variety of soils and periods of drought once it’s established in the landscape. Hummingbirds and butterflies will visit occasionally throughout the extremely long blooming season, and birds use the branches for shelter and nesting materials all year.